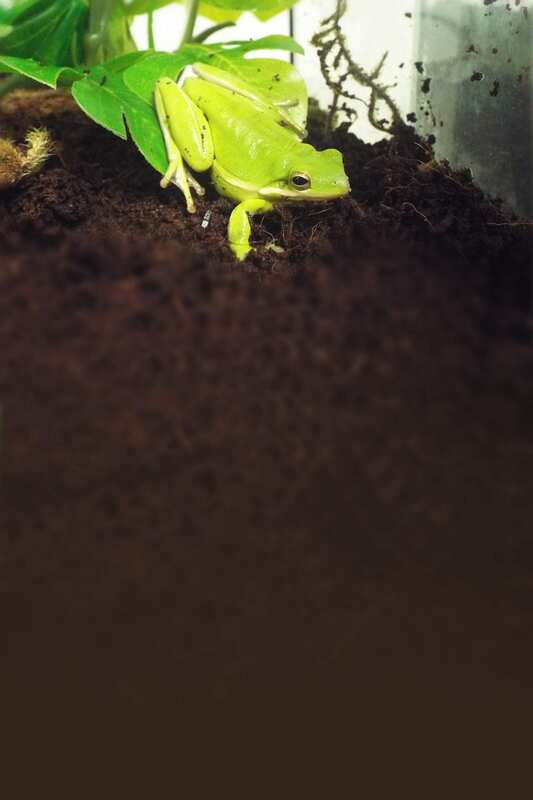 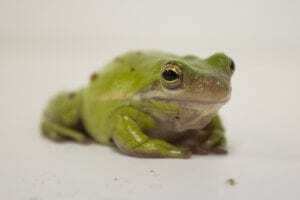 Green tree frogs actually don’t become green until they are mature! 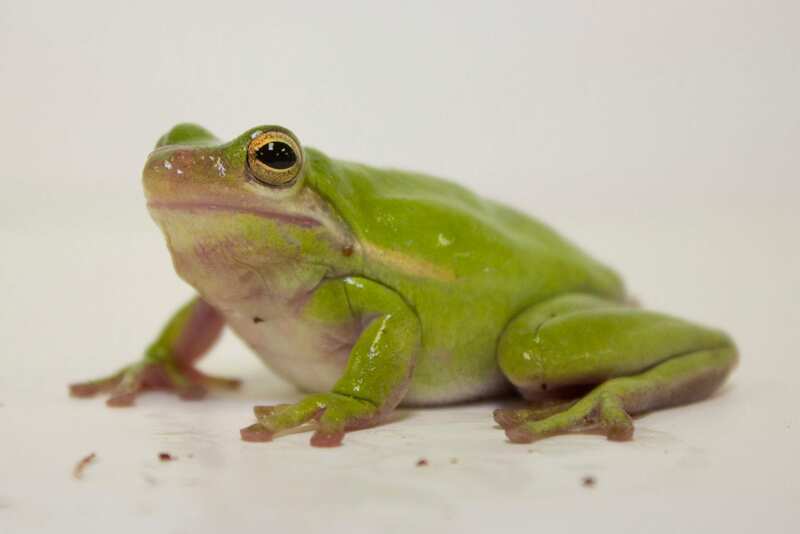 They go through ontogenetic color change, which means from the time they’re born, their color changes as their habitat does. 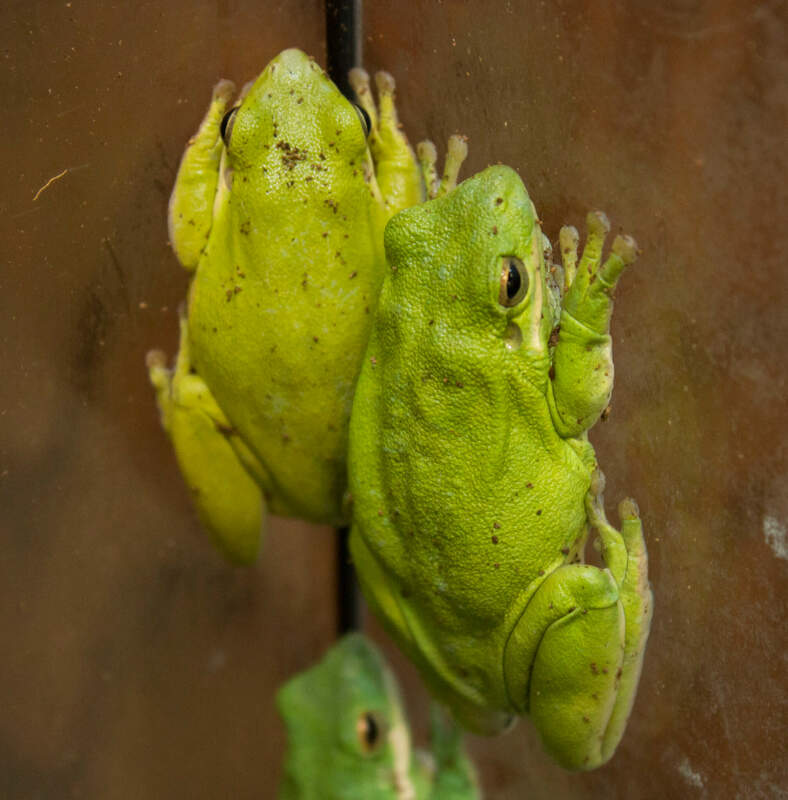 Tadpoles in the water tend to have a darker color and as the frogs mature and move onto land, their color adapts. 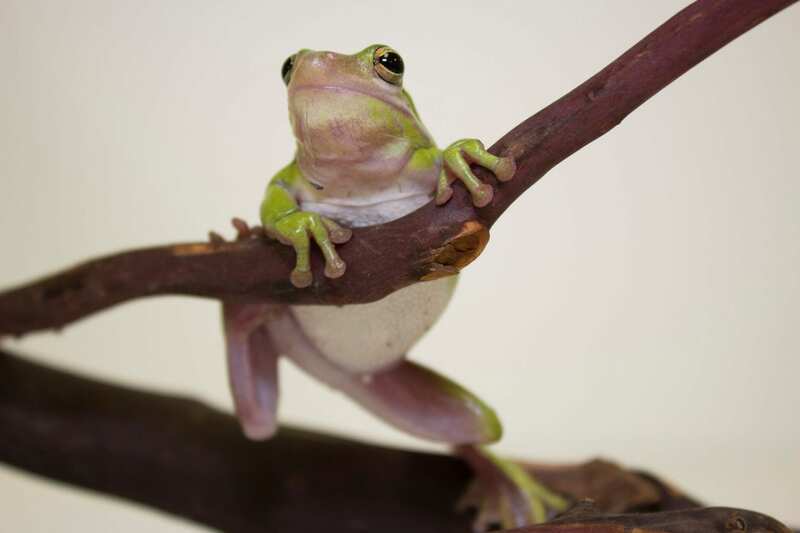 Many green tree frogs have white or yellow stripes or spots on their back. They love to rest on cattail blades or leaves along the edges of water.